With advanced hydrodynamics, a second-skin feel and unrestricted movement, the power of the Grey and Orange Arena Powerskin R-EVO One jammers lies in its simple design. 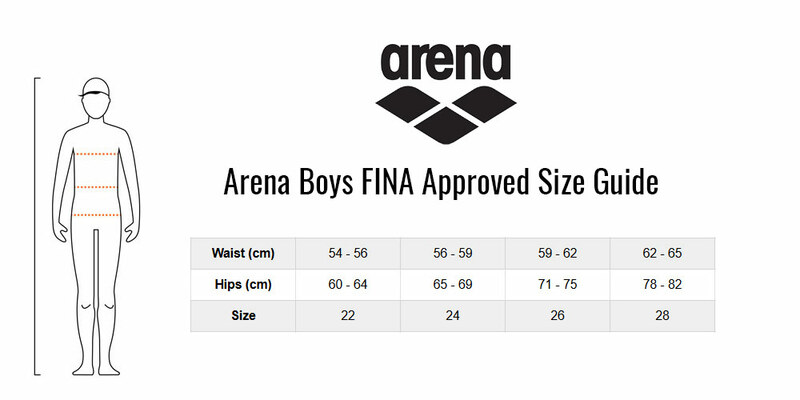 Arena's newest FINA approved racing swimsuit is engineered with a single piece of fabric and one bonded seam at the back. Its unique construction offers uniform compression and elasticity so you feel at one with the water. Cut from a high-tech lightweight fabric of fine woven yarn, the Powerskin R-EVO One absorbs little water, effectively reducing drag and improving glide. These competition jammers streamline from below the waist to above the knees and are easy to put on and take off. Experiencing the advantage of a tech suit on game day has never been so easy.